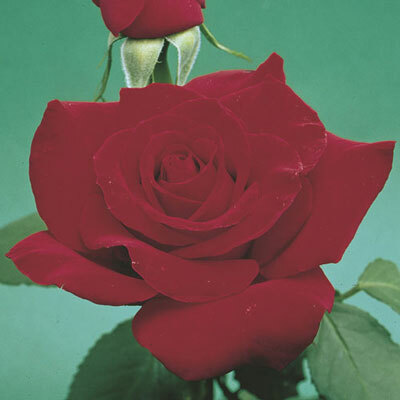 A finely toned athlete, this reddest-of-red roses will continue to win medals for many years to come. Thebright true-red color shows through from the pointed-bud stage to the final moments of the very long-lasting well-formed flowers. Each large bloom is held on long stout stems produced by the very vigorous upright plant. Distinctive grey-green foliage. Proven consistent color. Best size when cool.